Are you interested in learning how to dance Persian? Iranian dance is one of the most beautiful dances in the world. Everyone knows Iranian people love to party and have a good time. A typical Persian party or gathering always includes a lot of fun music and dancing. If you are an Iranian, you already know that. If you are non-Iranian but have Persian friends and have been to their homes for dinner or maybe a private party, you have noticed it is always just a matter of time before the host puts on some great Persian dance music, turn up the volume and invite everyone to dance. For many Iranian and definitely for most non-Iranian to dance Persian way, does not come easy. That is why, Mohammad Khordadian who is a long time instructor of Persian and belly dancing, has been admired by many people for his DVDs in which he teachs the art of Persian dancing. 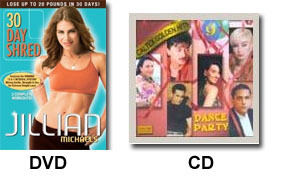 Since 1985, Mr. Khordadian has released 4 DVDs teaching Iranian dance and four DVDs teaching Arabic and belly dances. DVD # 1 - Basic steps to learn Persian dances. Great for beginers and also a good warm-up and exercise DVD. DVD # 2 - Medium level dance moves. Step by step instructions to learn to dance Persian, the correct way. DVD # 4 - on this DVD, Khordadian teaches not only the Persian dances but also Afghan, Azari, Salsa and belly dances too. Bonus 2: A CD full of Persian Dance Songs by various artists. So, let's review what you will receive when you order this volume package. Don't Wait. Order Your Set Right Now and Start Getting Into Shape While Learning How to Dance Iranian Style. This Volume Set Makes a Great Gift Idea Too. To Order: Click "Add to Basket", continue shopping or click the "checkout" button at the top-right of the page.